Summary: Shadow from Ladakh is a novel of tensions: that between industrialization and agrarian asceticism, Nehruvian and Gandhian ideologies, and the benefits of industrialization vs. its human and environmental costs. The novel is set against the backdrop of the Sino-Indian conflict, and opens with the shocking news that China has invaded Ladakh. Bhashkar Roy, a young, American-trained CEO of a steel company, believes that rapid industrialization is necessary for the well-being of India. Unfortunately for Roy, the ideal site for a new steel mill is already occupied by the peaceful, ascetic village of Gandhigram. Gandhigram's de facto leader and spiritual guru, Satyajit, stakes his life on his commitment to agrarianism and non-violence, and an epic battle of wills ensues. Satyajit's wife, Suruchi, and daughter, Sumita, mediate the hardline stances of the men and advocate for a harmonious compromise. Citation: Bhattacharya, Bhabani. 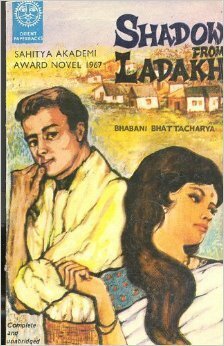 Shadow from Ladakh: A Novel. Crown Publishers, 1966. For a more in-depth map viewing experience, download the following KMZ file and open in Google Earth Pro.